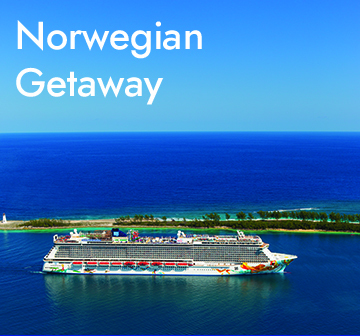 When you sail Norwegian Cruise Line this spring, its even easier to feel free. Unlimited Open Bar. 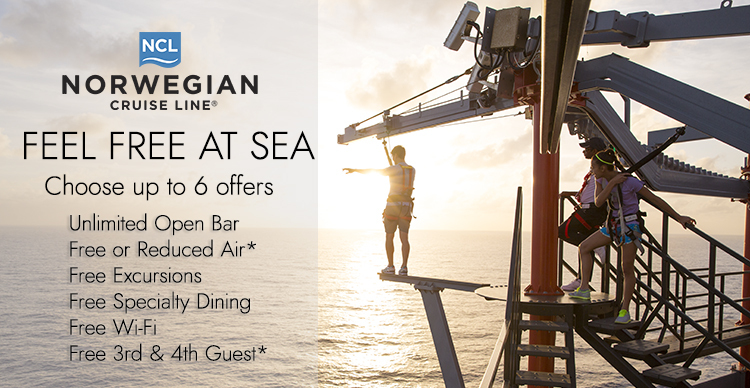 Free Specialty Dining, Free and Reduced Airfare, and more with Free At Sea. 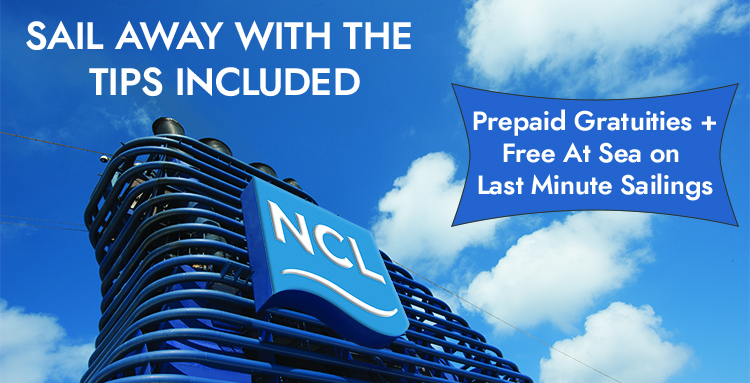 And now, Prepaid Gratuities are included on select last minute sailings when you book with Crown Cruise Vacations. 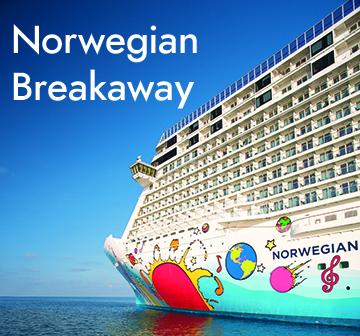 Did we mention that prepaid gratuities are included? 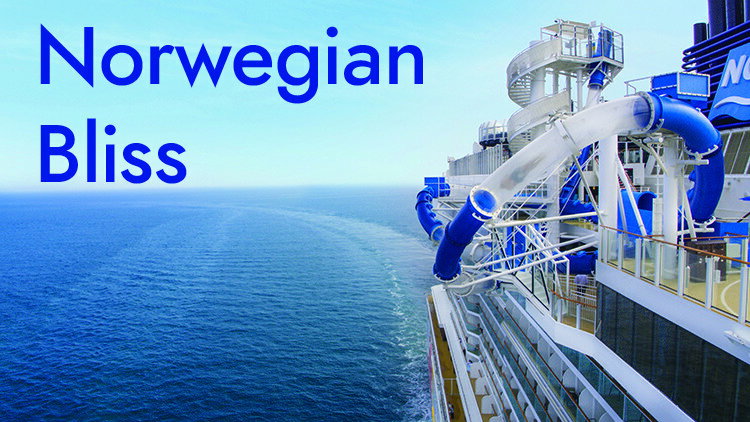 Because they are, but only on select sailings and only when you book with Crown Cruise Vacations. 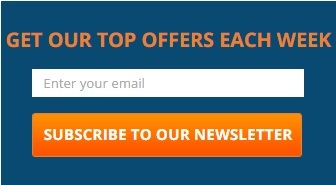 Offer expires February 18. New bookings only. 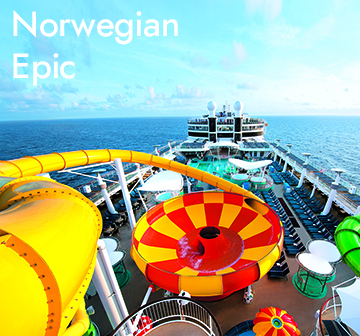 Many other ships and sail dates apply. Don’t see your last minute choice? Call us for more information! 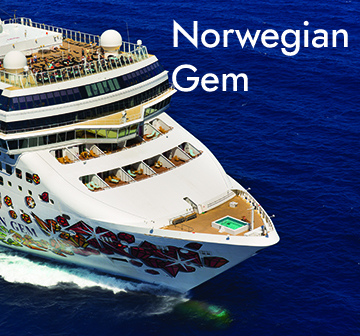 Crown Cruise Vacations always gives you a special offer and excellent customer service. Call today!